Through the serendipity of vacation* reading, I spent two days last week with two memorable heroines of young adult titles to be released this September. It is interesting, isn’t it, how the ARCs in a tote bag, stuffed in the back of your car, manage to rearrange themselves into a perfect order to be plucked out while sitting on the deck at the vacation house? I make it a practice to pull titles without discernment while on holiday, and just plow through the next available paperback galley, without regard to store schedule or nomination deadline – relying instead on the benevolence of the literary universe to put “just the right book” in my hands. The universe rarely disappoints, and this week I am humbled by its generosity and inspiration. 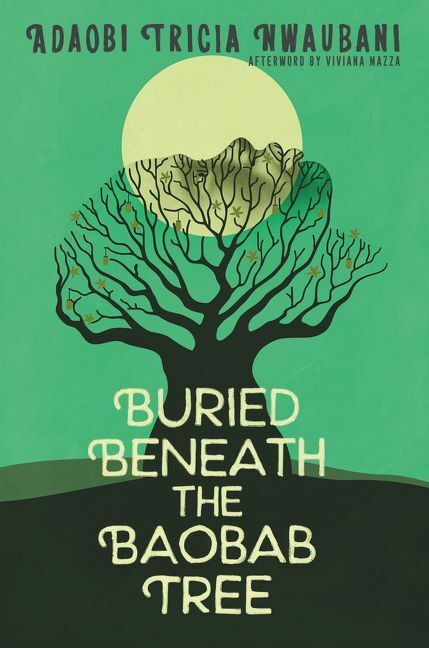 Buried Beneath the Baobab Tree by Adaobi Tricia Nwaubani is the heartwrenching story of those 276 young women, rounded up in a hellish series of village attacks by the Boko Haram. Fathers, grandfathers and single men were slaughtered in front of these girls, while small boys were herded onto trucks, separated from their sisters, and sent to camps to be trained as soldiers. The girls themselves were taken far away from their homes, their schools, and anything familiar, treated as slaves and prisoners, and eventually “married” to soldiers as reward for the men’s violent assaults on additional territory. The heartbreak of this story is immense, the inhumanity unfathomable, and the suffering so acute that it seems almost surreal in our modern world — and yet they created the very popular and memorable “Bring Back Our Girls” movement championed by Michelle Obama and countless world leaders and celebrities. We chanted, we wore t-shirts and posted social media memes, while across the globe these girls felt forgotten and alone – and then our national attention shifted to another issue. “Back at home, Papa and my brothers sit in the living room and talk about the news on the radio while Mama and I sit in the corridor, or the kitchen…..
Our narrator is not revealed by name except as she is called by others in the beginning of the book — a particularly effective device to make her story universal to all its victims. “Ya Ta” (my daughter) narrates this story with the accuracy of a field reporter, the optimism of a cherished child, and the strength of a soldier. Her coveted and once-in-a-village-lifetime secondary school scholarship lies ahead just as she is ripped from her beloved family, and her ambitions to become a doctor are replaced with the terrors of daily survival in a prison camp facing starvation, abuse, and certain death if caught trying to escape. While the reader knows from the beginning that nothing good will happen here, and the story is one of pain and hope of survival, the short, diary entry-like chapters keep the horror just far enough away from the reader to keep us from pulling away in despair. Her strength, her clarity of description and honesty keep us close and committed to this character who represents so many real young women in this horrible nightmare. As the reader races through this story of survival, each chapter sows hope for some outside help to prevail and end the madness that cannot possibly be real, and yet certainly is. 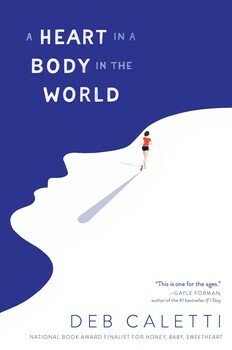 A Heart in a Body in the World, from master young adult author Deb Caletti, was the title that followed in my “fishing the tote bag” vacation reading, and clearly, the universe had a message to relate about violent madness and personal strength. The story of Annabelle Agnelli, a high school senior in Seattle, is the tale of a survivor of another kind of invasion — the one of gun violence in schools in America. Annabelle, a cross country runner, is victimized by “The Taker,” a fellow student who changes her life in unimaginable ways in one act of violent outrage. In response, Annabelle begins to run, literally, across the country, to both process her pain and draw attention to her outrage over the loss of those she loves. Her cross-country run, supported by an eccentric but doting grandfather in an RV who follows her journey, a group of friends at home with social media savvy and a great GPS app, and a growing group of supporters in the communities she passes are the fuel to to keep this amazing trek on the road. While the setting of her story is more familiar to read as she navigates geography that reminds the reader of their own family cross-country trips, her emotional journey is difficult and full of obstacles. The continued physical pain and injury that her body endures to continue her journey are effective reminders of the continued emotional pain and suffering of all of the victims of gun violence in our society. Both of these titles remind me of what young adult fiction does best: taking the most difficult issues and making them accessible through the story of one young person. That emotional connection between character and reader is precious, and it makes their story become our story. We may not be personal victims of a crime or a terrorist act, but that experience of connection with a relatable character brings that issue more clearly into our minds. Strong storytelling keeps issues alive in our hearts, and lets us own and wrestle with a problem in a more personal, long lasting way. Long after a particular news story fades from screens, the relationship we have to each other through sharing our stories persists, and changes the way we view the world. In an age where pundits decry the emotional disconnect between young adults and the world outside their own personal experience, I believe that we do well to look to the stories. For there our strength lies, and this week, in my stack of books, that strength is female. 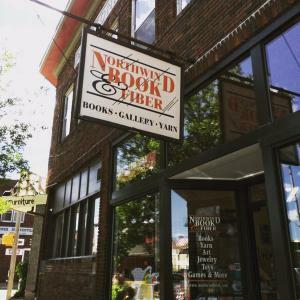 *I spent the week of July 4th in Hayward, Wisconsin, within easy driving distance of both Redbery Books in Camby and Northwind Book & Fiber in Spooner. 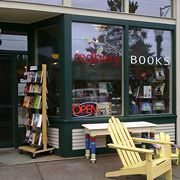 Both are excellent bookstores, well curated and delightfully welcoming, and highly recommended. Other vacation highlights included cheese curds, unlimited fishing, supper clubs, a BEAR SIGHTING, and lots and lots of time to read. This entry was posted in Uncategorized on July 11, 2018 by Cynthia Compton.